Peter G. Robart of Hampton Falls, NH passed away peacefully, surrounded by his family, on May 21, 2017 after a long period of declining health. Peter is survived by his wife of 37 years, Jane Shanahan, his daughter Katherine Robart Bal and her husband Erik Bal, of Minneapolis, MN, his daughter Jennifer Robart and her fiance, Matt Campbell of Medford, MA, his brother Mark Robart and his wife Lisa Borinsky of Somerville, MA; several nieces and nephews, and his beloved yellow lab, Teddy. He was predeceased by his mother and father, Joan and Frank Robart of Needham. Peter grew up in Needham and was a 1969 graduate of Needham High School. He was a 1973 graduate of the University of New Hampshire, where he met his wife Jane. Peter co-founded Bavarian Autosport in 1974, Great Bay Spa and Sauna in 1978, and Selectwood in 1982, in Newmarket, NH with his two longtime friends and business partners, Mark Ruddy and Dave Wason. The businesses relocated to Portsmouth in 1995. The three men remained constant friends and co-owners of the businesses until the time of Peter's passing. Peter and Jane were residents orf Hampton Falls for 40 years. 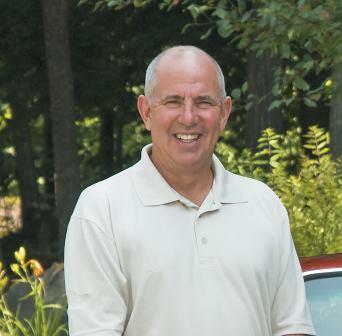 Peter was deeply involved in town government, serving as a Selectman from 2003 - 2006. His volunteer leadership of the Town Improvement Committee and Recreation Commission resulted in many projects that will continue to benefit residents for years to come. Peter was instrumental in the enhancement of the Town Common and the development of the Governor Weare Park playing fields managing every aspect, from the scheduling of games to the field's maintenance and sprinkler system. His advice and knowledge about construction was vital to the success of many other town projects, including critical renovations and improvements to the historic Town Hall and the structural framework of the Old Stage Road covered bridge. He also served on the Capital Improvement Committee and Planning Board. Hampton Falls will remember Peter not only for his generosity, but as someone who contributed his energy and ideas, and was always happy to get his hands dirty. Peter was a man of many passions, including windsurfing, skiing, golf, jazz, woodworking, and ice hockey, which he played multiple times a week until his illness. He loved spending time at home with his family and was never happier that when he was outside mowing hs lawn or working in his garden with Jane. The Robart family is grateful to the nurses and staff at the Edgewood Center in Portsmouth for the loving care Peter received. A celebration of Peter's life will be held in the coming weeks. In lieu of flowers, contributions may be made to the Peter Robart Scholarship Fund at UNH. These donations should be made payable to the UNH Foundation, 9 Edgewood Road Durham, NH 03824, please reference Peter Robart Scholarship Fund with your donation. Please visit the Brewitt Funeral Home website www.brewittfuneralhome.com for further details. You can't make old friends, and I just lost one of my oldest and dearest. Rest well Pete...you had quite the life, and an incrediable loving family. UPDATE: For those who may be interested there will be a rememberence for Pete on Friday, June 16th from 2:00 - 5:00 at UNH in Huddleston Hall on Main St, Durham NH. There will be some beer and wine and finger food. So sorry to hear about Peter. I remember his 2002 was the coolest car in our class, second only to leveroni's Falcon! RIP Peter!! From the days of driveway hockey at Peter's house or down the street to Dumart's or Fitzgerald's we had a blast.Surfing on the Cape. We had it all.I had only been speaking with Peter in the last 3 years or so as our lives had take us in all kinds of different directions. I will savor the very fond memories and time spent with Peter. Rest well my dear friend. I was able to visit Peter at his amazing estate just a couple years ago when he was bravely battling myelofibrosis, which my friend was also battling. We were able to reconnect at the combined 1967-69 reunion shortly before. He was still the unassuming enterprising sweetheart he always was. My deepest sympathy to Jane. What a loss! How lucky to have known him. So sad to hear of Peter's passing. My sympathy and prayers to his family. I always hate when I have to visit this page on the website. This is especially true when you lose a Cool Classmate like Peter. All the Good guys leave us too soon. Rest in peace my friend. Trailing memories to share are : Lake Wequaqet in the Summers...Self Made Keyboard Player of Frenzy....The "Brookwood"....His smile and his laugh. Condolences to All his Family. I didn't know that Peter had been sick, so the news of his death is quite a shock to me. I only have warm and fond memories of Peter. After high school I only saw him at reunions, but he was always the smiling, funny and long time friend I looked forward to seeing. I'm deeply saddened to hear of his passing. He was a gem of a human being and my sincere condolences go to his surviving family and close group of friends.